Ah. Ha. Aha. That’s the one. The moment we’ve all strive to have, the moment Oprah Winfrey so kindly coined for us. For us college students, many of us fondly remember coming home from elementary school and watching Oprah with our moms. Though Ellen Degeneres never fails to make us dance, Oprah always made us think. Whether she pushed us to reach our aha moment and find clarity about what we really wanted in our lives, or made us plot the best way to get our booties to chicago to see her live and hoard all of the free audience gifts, there was never a shortage of entertainment with our gal O. In lieu of all the protests, chaos, and quite frankly emo Berkeley vibes, we definitely are all in need of some serious inspiration. 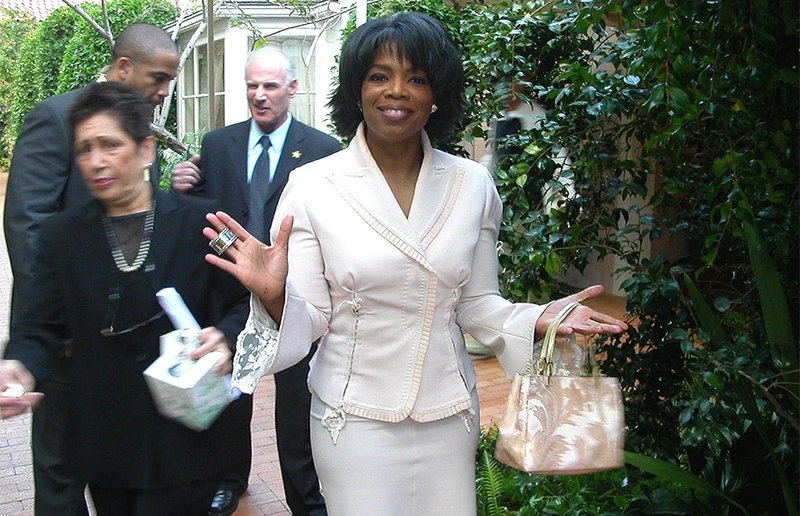 So let’s look to the GOAT Oprah herself as our fearless leader. Let’s be real, there’s about a 50% chance you’ve bought your textbook. Don’t look down dear reader, there’s no judgement here, but let’s make some moves, midterms are upon us. Follow Oprah’s love of the written word and start your own book club. Make some pals in your discussion section and hit up a cafe once a week to do your course readings with scone and latte in hand. Tasty and Productive! Pro Tip: you can reward yourself with reading the clog when your done. Oooh glamour!!! Just growing through live? Does your heart beet for horticulture. Affirmative? Same here. Nothing brightens up your day like some fun plants. Oprah has been very active in the garden lately and we at UC Berkeley should follow her lead and also produce our own joy. Lets spice up the plant scene on campus, and at some spicy toppings to the salad bar at Crossroads. We can even compost if we’re feeling frisky. How sustainable! Do you love being a couch potato? As do we, however Oprah’s couch is not the place for such things. Tom Cruise could arise unexpectedly and jump on your couch and punch the floor. We want a lover that would do the same. His love for Katie Holmes is what we all deserve. Leave it to Oprah to set our expectations for love. Don’t settle bears. In all honesty this week sucked. There were police everywhere and Milo entered our fabulously liberal Berkeley bubble. We also have midterms and papers, how icky. The only answer is Berkeley paying for us to go to Australia. YOU GET A TRIP! YOU GET A TRIP! YOU GET A TRIP! If Oprah said it was chill, we see no issue here.